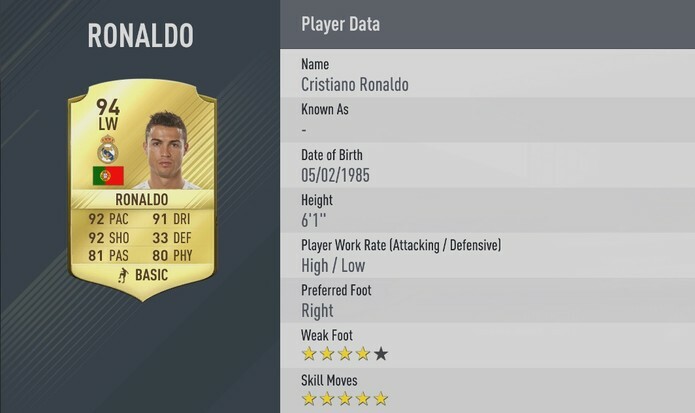 EA has revealed the top 10 dribblers on its latest football simulation game FIFA 17. Unlike what many think, have a high number in "Dribbling" does not necessarily mean that your player is a better dribbler. The attribute value shows the ability of the player on keeping the ball glued to foot in the game and in the directions of the goal. If you want the player take dribbles, feints and make frills, you need to observe the star’s skill moves. Returning to the "Dribbling" the biggest jumps were Riyad Mahrez and Neymar Jr. Thanks to the amazing English title Leicester, the Algerian received an upgrade to eight points over his first from FIFA 16 and got 88 and the Brazilian jumped from 92 to 95. The duo Ribéry and Robben lost many games this season due to injuries and advanced age and both lost dribbling points but still in the Top 10. The surprise is on account of Mario Götze, who participated in only 21 games in the European season. Even with another pretty bad season, the German kept on 89 dribbles, a number on the FIFA 15 is 16.